December 17, 2012 – Hood River, OR –HoodTech Vision, manufacturer of advanced stabilized imaging systems for small unmanned aircraft systems (UAS) and manned aircraft, introduces the Alticam™ Pod, an aluminum housing that is compatible with all HoodTech Alticam turrets and includes an advanced GPS/INS capability. The new flexible and compact pod features Alticam video processing (AVS) with object tracking, electronic de-jitter, and numerous video functions. The system also includes a moving map to improve operator situational awareness. The Alticam Pod is designed as a test vehicle for operation of HoodTech Vision (HTV) payloads in fixed-wing aircraft, and as a rugged vehicle for manned, fixed wing application of various HTV systems. 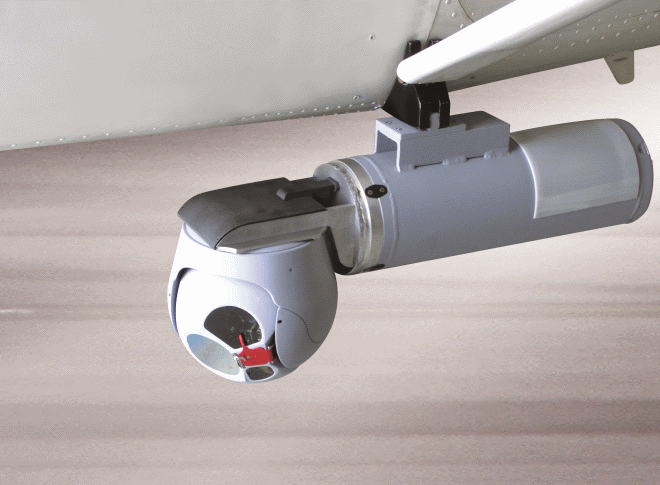 HoodTech’s new Alticam Pod has been used on the Cessna 182 and is readily adaptable to other general aviation aircraft, aerostats, and unmanned aircraft. For manned aircraft, the pod includes an Alitcam control console with an intuitive touch screen operator terminal. The Alticam Pod supports HTV stabilized imaging system payloads which include a range of accessories available to meet customer requirements. Options include the Alticam Vision Network (AVN) card which provides H.264 encoding with KLV metadata. AVN delivers full motion video in IP formats for digital downlink to the customer’s ground station. HoodTech Vision has demonstrated this downlink capability on a Persistent System’s Wave Relay™ mobile ad-hoc network fabric. For more information about HoodTech Vision’s new Alticam Pod please visit: www.hoodtech.com. Hood Tech Corp – Vision, Inc.(www.hoodtech.com- Hood River, OR), designs and manufactures stabilized EO/IR camera turrets for long-range imaging from moving platforms, such as small unmanned aircraft, manned/unmanned ground and marine systems. The company’s team of experts and vast experience in sensor integration, vibration isolation, disturbance rejection, and dedicated video processing has made HoodTech the preferred supplier of highly mass-efficient, low SWaP, small UAV ISR imaging payloads.